I am so sorry for the lack of updates recently. Lots of other things have been taking my time, and new posts got put on the back burner for awhile. 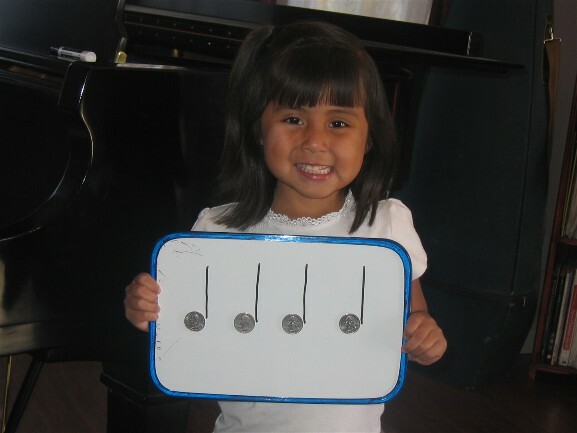 As an extension activity, students could turn add notes to their candy bar rhythms. They could be assigned to do so in middle C posision, or in a particular pentascale or scale that they are working in. Older students could then add chords to their melodies. The possibilities are endless! I have had a couple of requests now to do some rhythm cards in 3 quarter time. I don’t really feel like folding my laundry, so I thought this was a great time to do them. 🙂 Most of the cards only use quarter, half, and dotted half notes, but I threw in a few with 8th notes as well. These will work great for one of Cecilly’s new games. 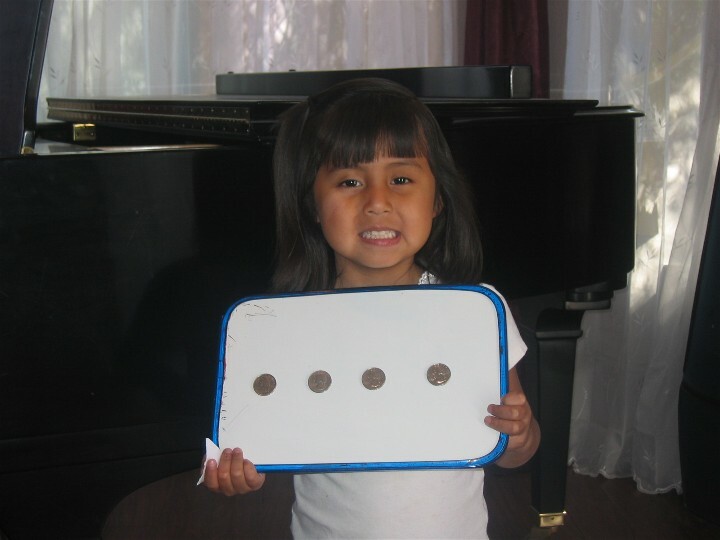 She gives her students several cards with both 3 and 4 beats to a measure. (Click here for the 4-beat rhythm cards.) The students seperate them and make a line of music in each time signature. They can them clap the lines they have created. It’s a great way to introduce time signatures! If you just want to print out what you need for Cecilly’s Game, then this may be the file for you. 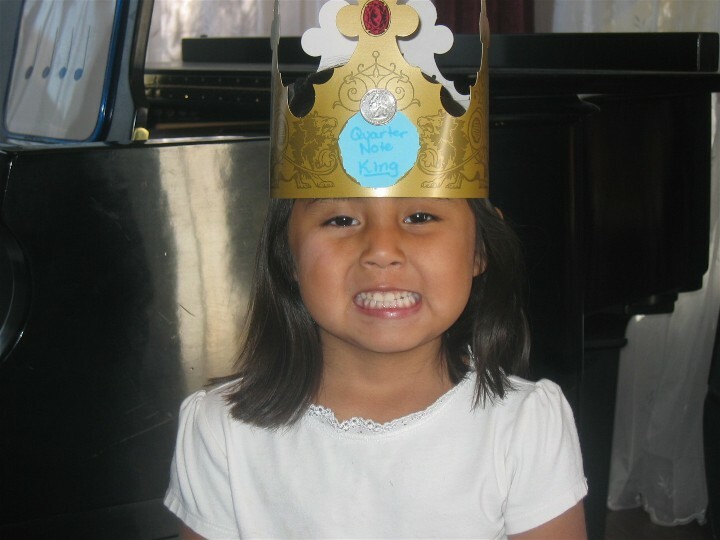 There has been some great discussion on the Yahoo Piano Teachers list about games for Halloween. Well, thinking up games is much more fun than completing the homework for the class I need to renew my teaching certificate, so here you are! The first game is Trick or Treat. 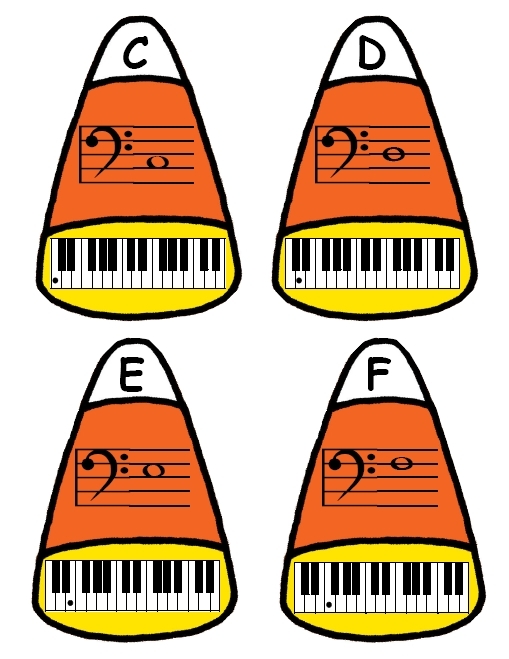 Print off the Pumpkin Rhythm Cards, and place in a Halloween candy bucket. If the student picks a rhythm, it is a “trick” and they must clap it correctly. If they draw out a pumpkin that is says “treat” they get to pick a treat from the candy stash. If you want to, you can print the reverse side on the back of the pumpkin cards, making for games that are a bit more commercial-looking. That way, when you cut them out there will be an image on the front and back of each card. There is also a blank pumpkin page so you can customize the game. The next game is Candy Corn Note Match. Cut apart all of the sections, and have the students match up the note on the staff, note on the keyboard, and letter name. This can be done individually or in groups, and can be competitive or not in nature. Once again, there is a blank Candy Corn page if you’d like to make your own game. I think it would be great for terms – the abbreviation, Italian word, and definition. I made wood Rhythm Blocks of various lenghts to represent the different note values, and thought some paper ones would be good to have as well. So I made some, and they have been uselessly sitting on my computer. Today Cecilly posted a great idea about how to use these rhythm cards on the Yahoo Piano Teachers list, and I thought it would be nice to take a minute and upload them. I am going to mount my cards on lightweight cardboard from cereal boxes, then “laminate” them with 2 inch clear packaging tape for durability. Hope you enjoy them! I have been wanting to make these for years, ever since I read about them in the book “A Galaxy of Games for the Music Class.” (A WONDERFUL resource, by the way!) 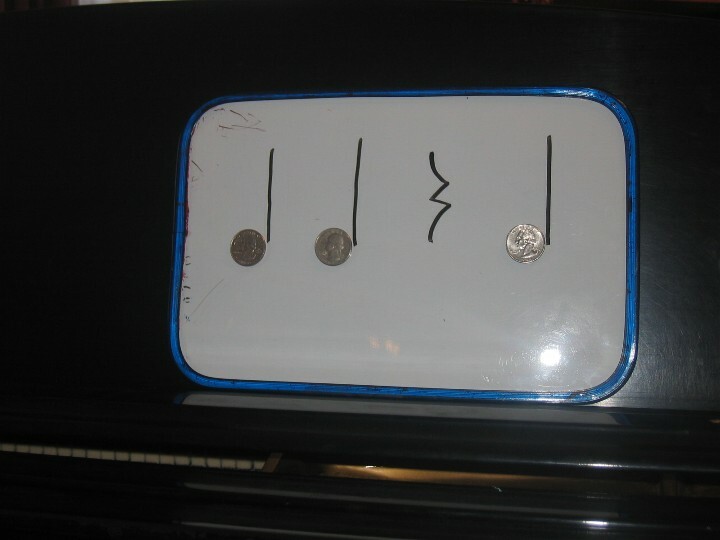 They are great for showing the relationships between note values, rhythmic dictation, and are just a lot of fun in general. 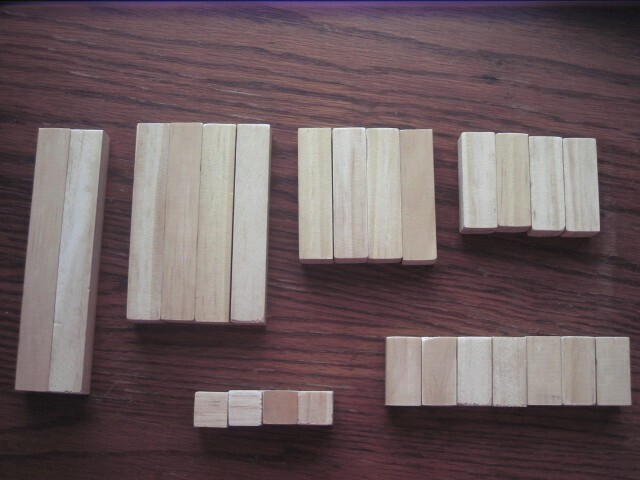 Here are the steps in making these blocks. Next, I painted them. 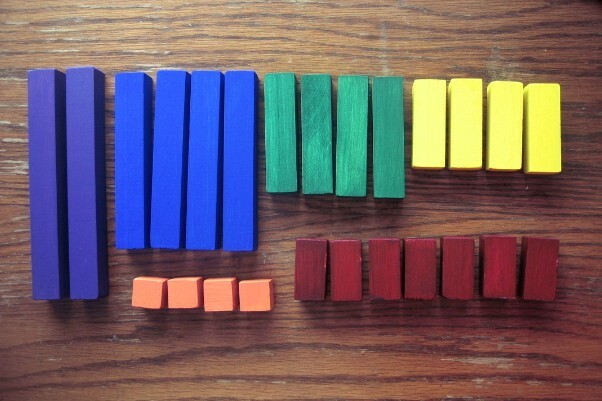 You wouldn’t need to do this, but I like the bright colors, and wanted easy identification of the different lengths of blocks. Using a black sharpie marker, I drew notes and rests on each of the blocks. On the quarter note blocks, I drew a quarter note on 2 sides, a quarter rest on 1 side, and 2 eighth notes on the remaining side. The notes don’t show up well in the picture, but they do in real life. 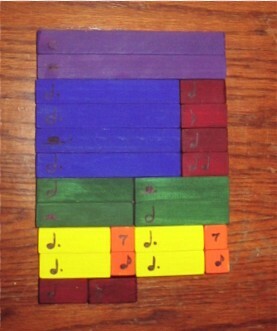 The teacher chants or plays a rhythmic pattern, and the student notates it with their blocks. This can also be done as a competition between 2 students or 2 teams. The teacher gives a certain number of beats, such as 8. A student notates with the blocks the exact number of beats the teacher has called. The teacher gives the student a set of parameters, such as 3 measures in 4/4 time. Student builds the set number of measures. This is fun for a group of students as well. Another added bonus of these blocks – they are wonderful for entertaining little boys while their mommy updates her blog!